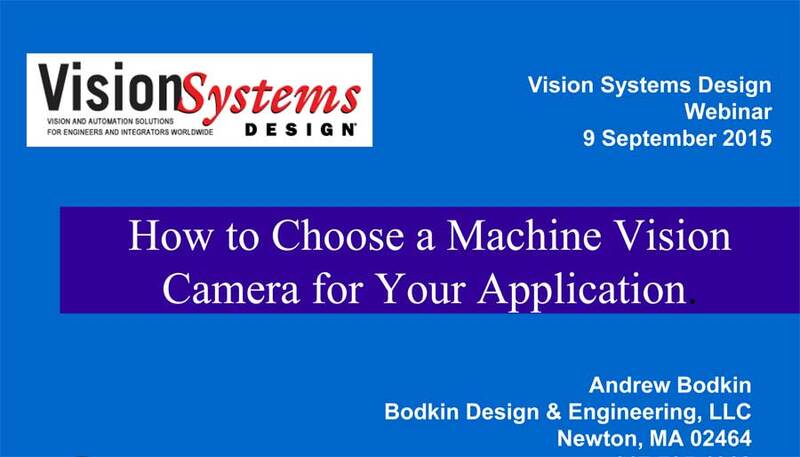 In this presentation, Andy Bodkin explains camera and optics specifications and why this understanding is key for choosing a camera for your machine vision applications. He discusses resolution, pixel count, and field of view (FOV), among other specs—and describes the types of cameras currently available. He explains how such specifications impact system performance for producing images that can be analyzed by machine vision software. In addition, Bodkin touches on how choosing the correct lens can affect system performance. You will come away knowing what factors to consider in choosing a machine vision camera for your application, and how to weigh these specific parameters. Download a copy of the Powerpoint slides by clicking the button below.